Part of the South Bay region of Los Angeles, Torrance offers a wide variety of cuisines with a clear prevalence for Asian-inspired gastronomy. From the traditional Korean or Japanese places to fusion venues making the food even more exotic, the culinary scene here extends all the way to Mediterranean choices and the classic American burger. And combined with other available choices like Indian, Mexican and vegetarian, Torrance seems to have it all in terms of international gastronomy. Here are 10 restaurants to check out when visiting the area. Gen Korean BBQ House is a modern Korean restaurant, located in the southern part of town, with contemporary decoration, bright lights and fusion cuisine. Starting with the Korean barbecue, the chef mixes in various ingredients and flavors from around the world. Expect to find on the menu dishes like joomulluk, marinated premium beef with sesame oil, spicy baby octopus with rice cake or marinated sweet and savory pork. They serve all the dishes with traditional Korean ban-chan, a sort of side dish that fits perfectly in this creative fusion cuisine. Musha Restaurant is a fusion Japanese restaurant offering typical Asian food blended with flavors from across the globe. Their dishes are small, like the Spanish tapas, which can be mixed and tried together with friends. The menu features creations like grilled chicken with green chili pepper and Japanese citrus paste, grilled beef tongue in lemon and sesame sauce or steamed rice with pickled mustard leaves and seaweed. Pair the dishes with imported alcohol from Tokyo for a taste of pure Japanese culture. The place is vibrant, with a modern design and warm atmosphere. A classic Peruvian restaurant with other Latin American-style dishes included on the menu, El Pollo Inka is set in a traditional interior, cozy with a few tables. Several nights a week they have live music that matches perfectly with the choices on their menu. You can find more than chicken and rice here, like the typical anticucho, skewers of beef, chicken and shrimp served with hot sauce and corn fried yuca. Don’t miss trying out their signature cocktails, like the Pisco Sour — one of the most recommended and appreciated from the drinks menu. An authentic Indian restaurant in the heart of California, with a large establishment suitable for banquets as well, Bombay Tandoori & Banquet features a classic interior with a few traditional Indian decorative pieces. 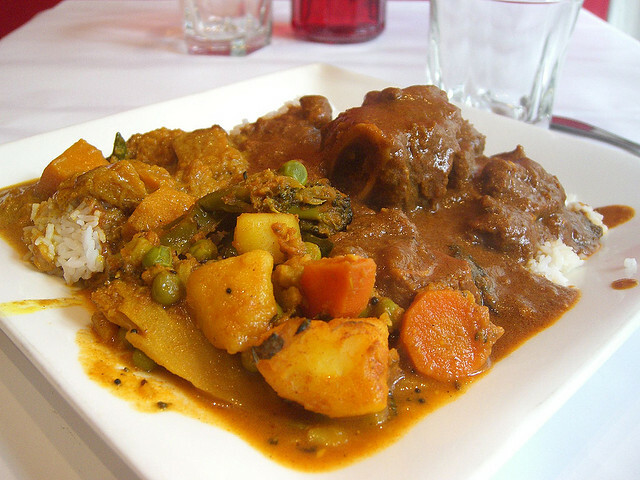 The menu includes a large selection of all the Indian favorites from the star dish chicken tikka masala to various curries to a mix of fish or meat and vegetarian options. The Indian desserts are not to be missed, such as the mango lassi, their staple smoothie. During the weekends, they offer a buffet lunch, for easier sampling of everything on the menu. 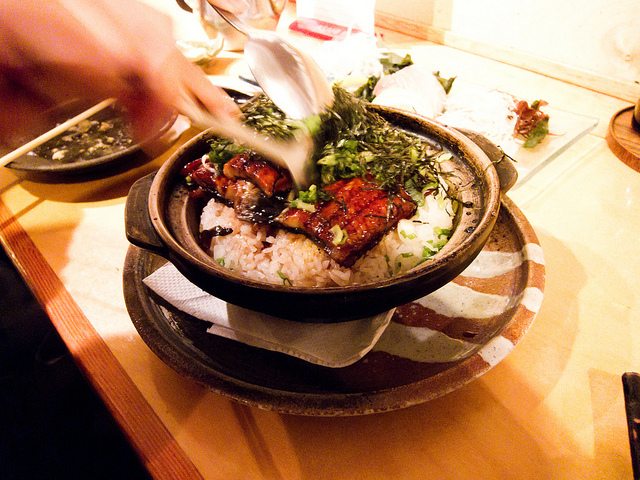 Yellow Fever is a contemporary Asian restaurant specializing in bowls of fresh food, customized by the customers. They make everything from scratch, with some of the ingredients being organic and locally sourced. Expect to taste bowls with creative mixes like filet mignon with Asian slaw and gochu sauce or grilled chicken with sprouts, almonds and quinoa. Featuring a unique modern design with a wall filled with bowls of different sizes, and another with a monk mural, the establishment also possesses a warm atmosphere. 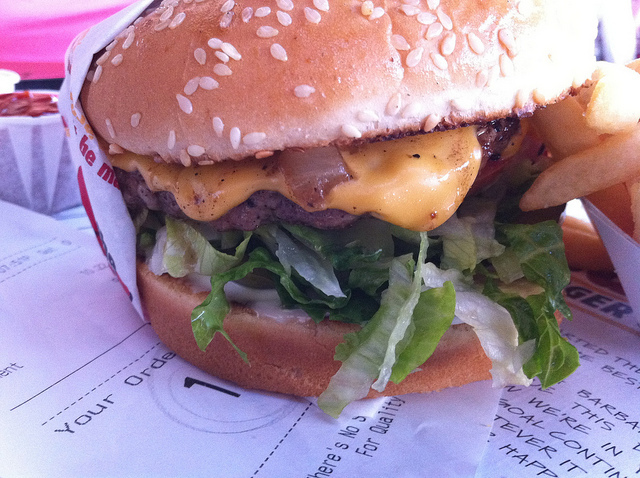 Originally established in 1969, The Habit Burger Grill is a classic burger joint serving charbroiled burgers. The interior is classic American, complete with leather couches and fountain drinks for a traditional dining experience. Their menu features burgers with caramelized onions or options with sautéed mushrooms, grilled pineapple or cheese and avocado on sourdough bread. Expect to find other options on their menu as well, like sandwiches, salads and kids’ meals. Aristo Café is a small and cozy cafe serving Greek and Lebanese dishes. The menu draws from the Mediterranean cuisine traditions, using fresh fish, olive oil and vegetables and offering delicious specialties. 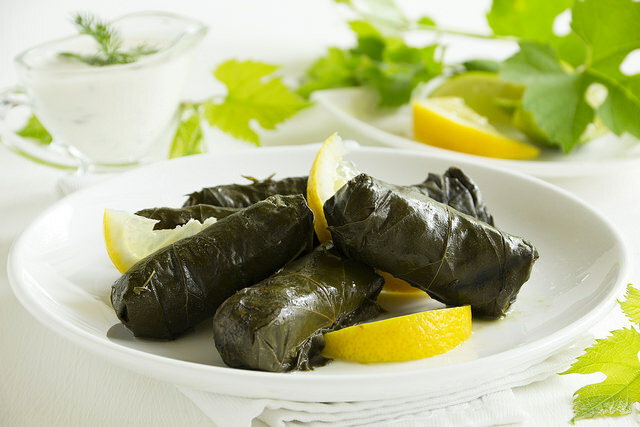 Don’t miss the kibbeh rolls stuffed with ground beef and herbs, and the dolmathes specialty of rice and spices wrapped in grape leaves, for starters. For the main dish, the most famous entrées include the grilled salmon or the marinated beef, both served with vegetables, hummus and jasmine rice. They also offer lunch specials. Veggie Grill is a vegetarian restaurant with a bright, colorful interior and a red-and-green theme throughout the venue. Their menu features seasonal dishes and is filled with vegetables, fruits and nuts. As alternatives to meat, they use tofu and other grains like buckwheat or rice. Expect to taste creative combinations of salads, snacks from sweet potatoes to herb-roasted vegetables, and bowls of steamed mixed grains, vegetables and tasty sauces like curry or coconut. They also offer an alternative seasonal menu, with recently harvested ingredients. Specializing in prime rib, The San Franciscan features a classic interior with red leather booths and vintage wall decorations. They also offer live entertainment, concerts and karaoke, nearly every night. The restaurant serves up a large selection of dishes, from salads and pasta to seafood. However, the star on the menu is the selection of steaks and slow-roasted prime rib, served with a variety of side dishes. Their wine list is extensive, and can be perfectly paired up with the meats. Originally opened in Japan, the Santouka concept quickly expanded overseas with a few locations in the US as well. The restaurant in Torrance is quite small, with basic interior design, but the food will make up for it. At Santouka, you won’t find your typical bowl of ramen noodles but rather an upscale creation of ingredients perfectly mixed to reveal gourmet ramen dishes. Expect to taste bowls of shio ramen with white tonkotsu and red pickled plum, spicy miso ramen with three types of chili peppers, or char siu ramen with roasted pork.